As your child grows and develops he, she or they will learn a great many skills that are simply invaluable. One of these skills is being able to tell the time and an extension of this is timekeeping and an awareness of how long segments of time last. As with many things that children need to conquer, the earlier you introduce it and the more fun you make it the easier it is for children to grasp. Learning about time can never start too early. 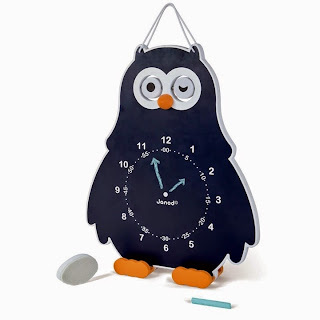 Familiarising children with the idea of time using clocks and tools such as the delightful Janod Owly Clock adds a layer of fun to what is an important skill. This two sided tool for example allows children to move the hands and place the numbers on one side and work with chalk on a chalkboard to practice skills on the other. Being suitable for ages 36 months upwards this would be a great tool for working with children on demystifying time and making the learning process fun. Time is all about maths. If you want to help your child master the time a great way to do this is to help and support them with the underlying numeracy skills. Practice the 5 times table and ensure that they understand the concepts around wholes, halves and quarters. The better they understand these numeracy skills the easier learning to tell the time will be. There are some fantastic story books available which not only talk about time but which make the subject fun. A personal favourite of ours has always been What's The Time Mr Wolf, although there are so many time telling stories and activity books available at the library and in book shops. If you can find one which features your child's favourite character at the time this will help add some fun. There are so many time-related games out there that you really are spoilt for choice. 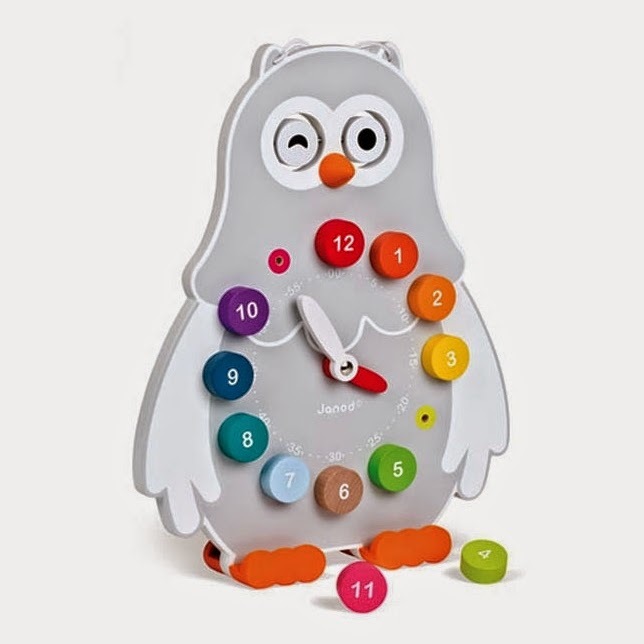 One very popular game from Orchard Toy's we are aware of would be Tell the Time. This particular game goes down very well with many children. You could of course make your own games up! As the saying goes "practice makes perfect". Some children will pick up time telling skills very easily while other might take longer. Certainly having a good basic grasp of numeracy helps. Again making practicing fun and creating opportunities for learning through play will help the process. Older children looking to practice the skills that they've worked on at school might benefit from workbooks and printables (there are many printables available online, particularly on sites such as Twinkl and even Pinterest). Again you could also make up your own worksheets or similar, not forgetting stickers or rewards for doing well. Do you have any tried and tested tips for helping your young children learn to tell the time?